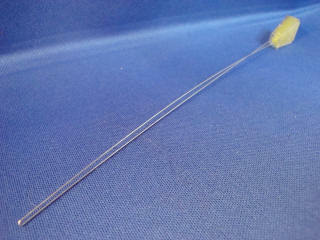 1.8mm string for blinds and shades. Commonly used in mini blinds and wood blinds. Tensile strength is 210 pounds. Product Description 1.8mm (Used on most standard 1" & 2" Horizontal Blinds (real wood, faux wood, vinyl, aluminum) replacement cord. 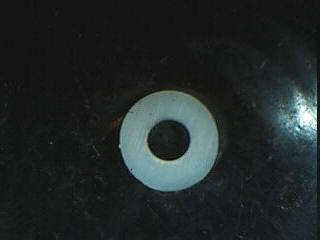 Product Description Small plastic washers. Used to secure knots in strings so that they do not slip through. Protect your children. Use these cord cleats. To reduce the possibility of such an accident, all cords must be kept out of the reach of children, including infants. Cord cleats are an effective way to implement this essential precaution. Product Description Attach the cord cleats 6" to 12" apart at a height where they will be out of the reach of children. Item Name: Used to restring pleated, cellular and RV shades. 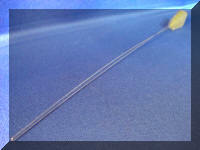 Product Description String lacing tool, used to re-string pleated, cellular and RV shades. A must have tool if you're doing the repair yourself.